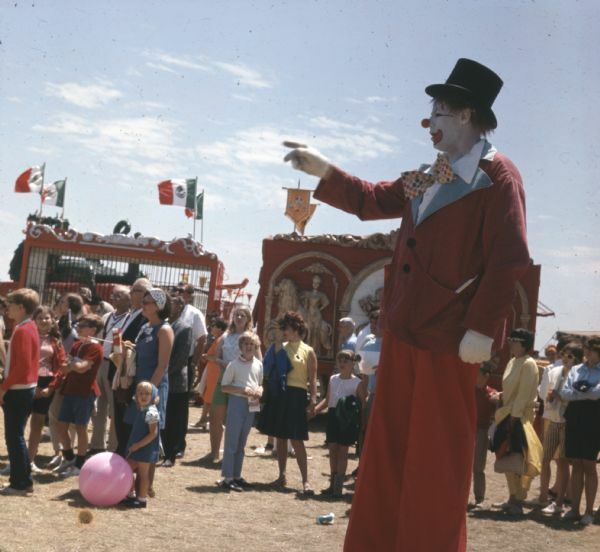 A clown on stilts is pointing towards the left. Behind him a crowd of people are standing in a line. Two circus wagons are behind the crowd, one an animal cage flying the Mexican flag, the other decorated with gold relief designs of a woman riding a lion.